The June oven kind of does it all, well not the prep but still. It’s seven appliances in one! An air fryer, a convection oven, dehydrator, slow cooker, broiler, toaster, and warming drawer. As someone who has limited counter space, and puts up appliances often, this would help alot! And what would a smart appliance be without a fancy touch screen? 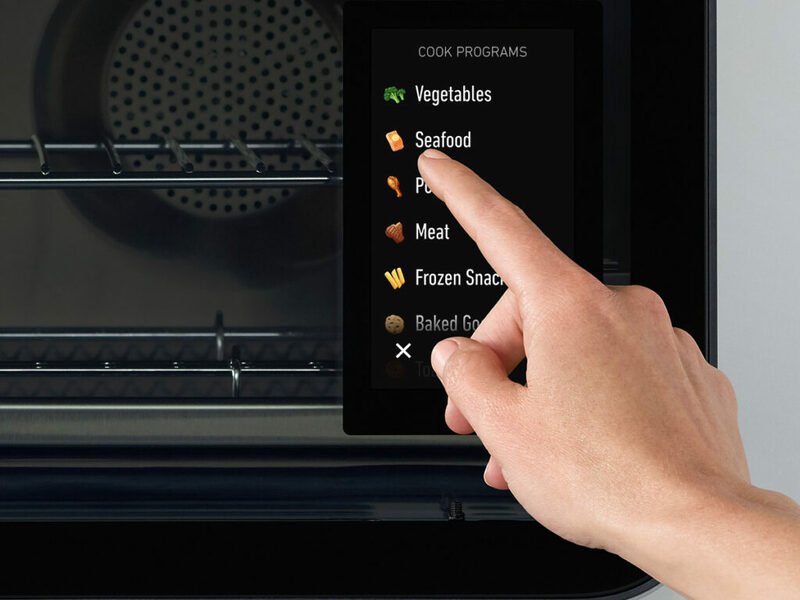 The June oven has a 5-inch LCD touchscreen to set and interact with it. It looks fancy but what makes it smart? Well, it gives you the ability to set your oven and view your food from your smartphone! So no forgetting about the food, or in my case having to keep getting up to go check the food in the oven. You can check a live video feed from your phone via the June App (which is available on iOS and Android) . It has over 100 cooking presets to get your meal done fast and cooked to perfection! The June oven collects data from six fast and energy efficient carbon-fiber heating elements, two convection fans, a precise platinum wire temperature sensor and a high-precision glass bead food-thermometer to ensure this. The data is processed once a second! The June Oven also gets automatic updates via a WiFi connection, which also add new functionality to it and it is Alexa enabled. So you can use voice commands to turn the oven for dinner. The June Oven retails for $599. My name is Aly and I would like to know if you would have any interest to have your website here at chicdivageek.com promoted as a resource on our blog alychidesign.com ?